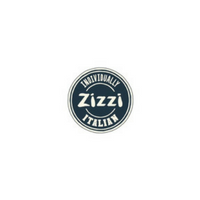 Zizzi is an Italian chain of restaurants in the United Kingdom. It was established in 1999 and since then, Zizzi has been the prime establishment that serves the best Italian-themed meals of pastas, pizzas and ice cream. Aside from the food, Zizzi prides itself on being able to deliver their authentic Italian flavors in Italian-themed interiors. While Zizzi has grown and expanded to over 100 locations, some of them still have an old style masonry oven that is visible over the counter in order for customers to see their pizzas being prepared and baked in the oven. Want to keep up-to-date on everything Zizzi? Read their blog to get the latest news and specials. Below are the latest Zizzi menu prices. The Zizzi menu includes great starter and sharing dishes for guests to indulge, including Italian breads, Italian soups, Bruschetta, Zizzi antipasti, Fonduta Formaggi and Arancini. Entree dishes of meat and fish like Spendini Pollo and Seabass Cartoccio. And of course, Zizzi is best known for their wide variety of authentic Italian pizzas starting with their signature Pizza Rustica, pizzas which are hand stretched for a bigger base to accommodate more toppings while providing for a crispier texture. They also have the Classic Pizzas that are made from a non-gluten base. End finally; they have their Skinny Pizzas which are all under 550 calories. Italian food is always served Italian style at Zizzi Ristorante. For more information about Zizzi vouchers, news or the latest dish creation, visit their official website.